A wonderful dense pattern is hammered into the metal material to create an eye catching piece with this 3”x3” tile. 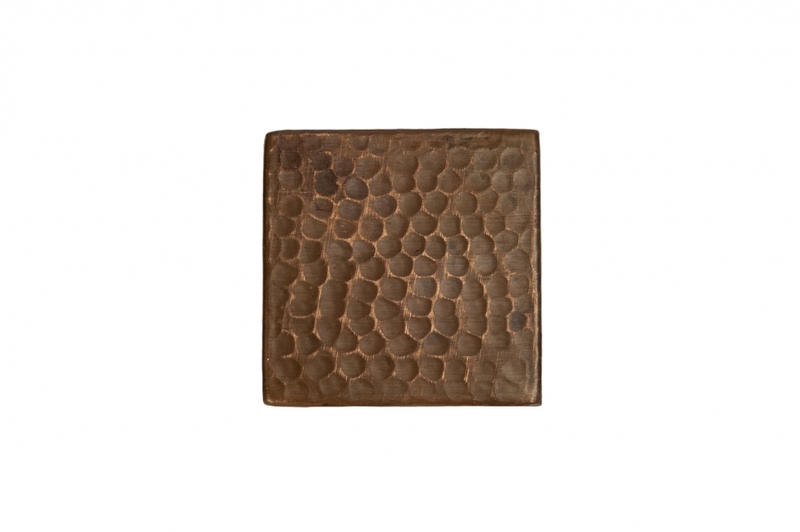 The rich brown tone of the copper is accented by the oil rubbed bronze finish. This type of piece will become part of an amazing project that will be enjoyed and utilized for many years to come.